Waste Management arranged a special tour for 6-year-old Jack Jack. MORRISVILLE (WTVD) -- A little boy we first told you about around Halloween is getting the tour of his life. This is Jack Jack. He has a very complicated medical condition, that makes him rely on wheelchair sometimes to get around. Many of you donated cardboard boxes so his family could make him a garbage truck for Halloween. Jack Jack is just obsessed with them. 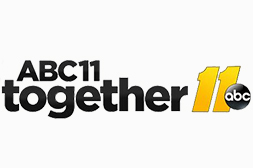 Well, after Waste Management saw our story, the company invited Jack Jack for a tour, and ABC11 was there. With a big grin on his face, Jack Jack, who communicates non-verbally, was having the time of his life. "He doesn't even know what to do with himself, was pacing, he's so excited he didn't know what he was doing," said Greg, Jack Jack's dad. The 6-year-old has undergone dozens of operations, and his family has feared for his life many times before, and they said every laugh and smile is a blessing. Jack Jack got to sit in trucks, blow the horn and watch them move - a real treat as he spends hours watching videos of garbage trucks on YouTube. Jack Jack had the time of his life on a tour of Waste Management. The family has faced many challenges -- Jack Jack's mom also relies on a wheelchair because of her own recent medical complications -- so they couldn't be happier that people in the community have stepped up to do something special for their son. "It's so kind of them to open their facility and for everyone to take time out of their day to make this dream come true for him," said his mom, Jessica. "He's not going to forget this." If you want to help, you can connect with Jack Jack through Facebook or donate to the family's You Caring page.